Wondering black, blue, pink, light pink, purple! What braces colors combination look best? Well, braces are something that no one happily wears, people often bear braces to get a perfect smile or bite. 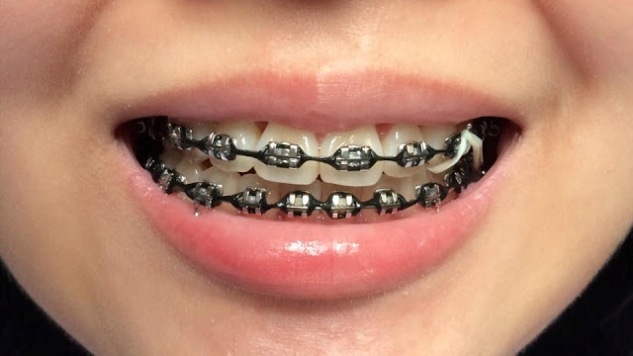 Braces usually involve many parts depending upon the individual case but some parts of braces that everyone must have who go for braces, include the brackets, archway, metal bands, elastics or bands made of rubber that go around each bracket. If you are going for the braces for the first time, make sure you ask your orthodontist if he or she has a color wheel before the day of your appointment. You can also choose ceramic braces (and brackets) if you want to keep your braces low profile or Invisalign is also another option if you’d like to keep your dental treatment as invisible as possible. So if you are looking for the best color for your braces then you are going to wear traditional braces because the other two options don’t need to offer colors for braces. People choose Invisalign or ceramic as both are less visible. 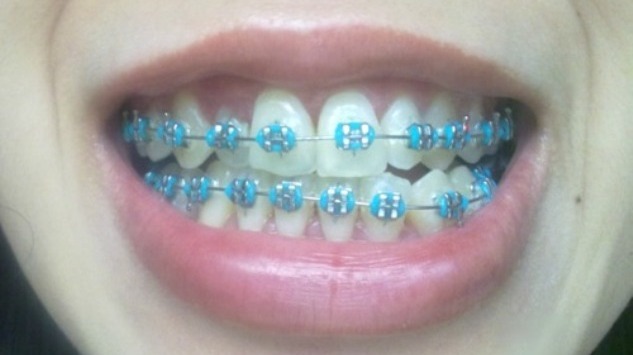 But if you want to wear colorful braces then you probably want to make your braces more prominent and interesting. Normally, when you decide for traditional braces then you get typical steel braces, your brackets and wires will be silver. So if you want to add colors then where you can? It’s the tiny elastics, also known as bands that allow you to colorize your mouth. On your every visit to your dentist, you get new elastics, most probably every 4 to 6 weeks. In this way, you don’t need to think deeply about color, as you can change it at your next visit. You can have different colors through your treatment. Just switch colors at each visit. Believe me, it is also fun to have new mouth color after every couple of weeks. In addition, to having different color for your entire string of brackets, some orthodontists will allow you to choose different colors of elastics for each tooth from a color wheel. The excitement about braces colors is not only found in children, but also in adults. Both are found to be wondering about the best color to choose and how to choose it from the many colors and the seemingly endless color combinations. An essential part of braces are tiny rubber bands, called ligature ties. They are used to hold the wire in place. The wire is what straightens your teeth and the brackets need to fit tightly to the wire in order for your teeth to be straightened. It true that not all braces need these ligature ties. But if you have to wear elastics also, then it’s really exciting to choose from different colors. No rule, but just conclusion what suits girls more and what suits guys more. Pink is known as feminine color so here it is also. The cutest colors for girls are pink and green, like a watermelon. Pink looks great with purple and teal also. Lighter color combinations such as light pink and light blue are also good for girls. Boys are different from girls when they make choices as looks are not priority for mostly boys. Popular color choices of braces for boys are their favorite sports team or their school colors. Blue and navy looks great on guys that’s why it’s a popular choice among boys. Dark red is popular in both genders as the bright color can make your teeth appear whiter. 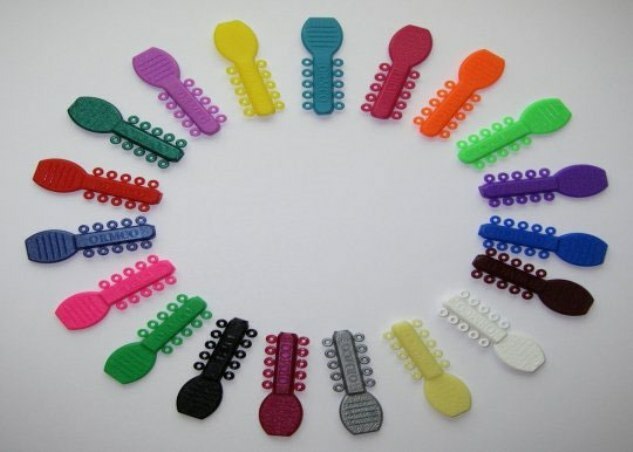 Choosing colors for your braces can be a difficult task. Ask you orthodontist first, if he has a color wheel, and then try to understand an interactive color wheel because it will allow you to experiment different colors on a picture of teeth with braces. As a result, you can decide for you easily. Following are some tips that may help you while deciding the color. It’s really helpful to look at a color wheel. A color wheel is a list of colors that you can use for braces. Do this before you get the braces so that you won’t have to choose the colors on the spot. Look at a color wheel online if you get a chance. Type in “braces color wheel” in a search engine and look for an interactive color wheel that lets you put the colors onto a picture of a mouth with braces. Experiment with different colors you might want to wear. The most important is your skin tone. Consider your natural skin color first and then choose colors that will compliment well with your natural skin color or even the color of your hair. To do so actually helps to enhance your smile and appearance. If you have personal preferences then go for your favorite color as it will give you satisfaction and happiness which is important. But if you don’t have any, then continue reading. If your skin and hair are light, in this case green khaki, bronze, salmon, raspberry, petrol blue, royal blue, bluish red, caramel, or vermilion are some colors that you can consider. But if your skin and hair are dark, then dark blue, pink, orange, anise green, violet, gold, or pastel blue will be going well. No doubt, your skin tone is important while deciding for braces colors but there is another thing that matters a lot. Yes, consider your wardrobe. You should choose your colors according to the favorite colors of your clothes. Colors that are matching with your clothes colors, will complement each other and you will look great. It is usually recommended to eliminate unwanted and strange colors. For example, if you choose black band, when you smile people may think that you did not brush your teeth well. The bands will look like tiny food particles left between your teeth. So be careful while choosing the color. Chances are high that people may confuse your band color with something else. Although white is a great choice, but the main problem associated with this band color is that it turns the color of teeth to yellow and makes them dirty especially when you take a colored drink, like tea or coffee. It s good to choose a band color that is not exactly similar to your teeth color like if you have yellowish teeth then try to avoid the gold and yellow colors as they will intensify the yellow color of your teeth. By following a good oral hygiene, you can avoid discoloration of braces to some extent. After every meal, brush your teeth. If during the day you are at work or in school, carry a toothbrush to ensure that you brush after meals or snacks. Make sure you floss your teeth twice a day. Your dentist will recommend you a special brush for flossing purpose as thread flossing is not possible with braces. Regularly use it. Do not forget to buy mouthwash and use it at least once per day. Mouthwash is essential when you wear braces. Because it’s almost impossible to clean your mouth 100 % with fix braces. Mouthwash will do what you can’t. If you are seeing the color wheel on internet then do remember that you may not find the exact colors from your orthodontist, i.e. color tone maybe slightly different. What Braces Colors look best on me? 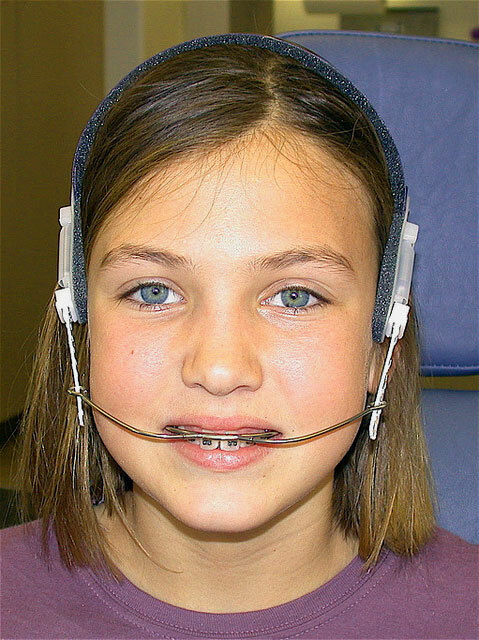 Although there is no official style guide for braces. Its highly individual decision that which color suits you. It’s just like your dress or hair color. Good news is that you can do experiment, like you can choose one color, if it doesn’t suit you, next time you can replace it with another. Common colors of braces include shades of red, blue, green, yellow, purple, pink and orange. In addition to these bright colors, you may have gray, silver, gold and black as well. But check with your orthodontist before you begin plotting your colors. If you have a darker skin tone, then go for gold, dark blue, turquoise, orange or green. Violet or pink may look good also if you are not too dark. Lighter blue, bronze, darker purples or blues and subdued tones of red or pink might complement a lighter skin tone. If you decide for darker colors, they may make your teeth appear whiter. On the other hand, lighter colors can make your teeth look more yellow. Its highly recommended that choose a braces color that complements your eye’s color. It will look great on you. As mentioned above, a color that is matching with your clothing you often wear, is also a good choice. If some special occasion is there like Christmas or Easter then complimenting colors like green or red may make your day. Colors of your favorite sports team is also a good choice.